We have policies in place for all aspects of our nursery. Newbury Gardens Day Nursery complies with Health and Safety Regulations and has been approved by the Department of Environmental Health and registered by OFSTED. All of our policies can be seen in the Nursery Entrance Hall. The Nursery receives Inspections from Ofsted Early Years, and general guidance is available from West Berkshire Council Early Years Advisers. The Nursery has written policies and procedures which have been read and approved by the relevant authorities. 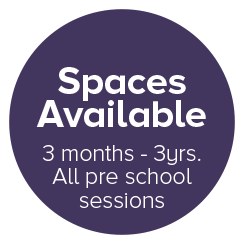 Nursery places are subject to availability. There will be equality of access to nursery places as outlined in the Newbury Gardens Day Nursery Equal Opportunity Policy. When a place becomes available within a suitable age group, parents of a child from the top of the list will be offered a place according to the start date required. Priority will be given to children requiring all day care five days a week, then to those requiring all day care on two, three or four days per week, particularly those who can be successfully matched to make a full time place. Siblings of children currently attending will also take priority of places.